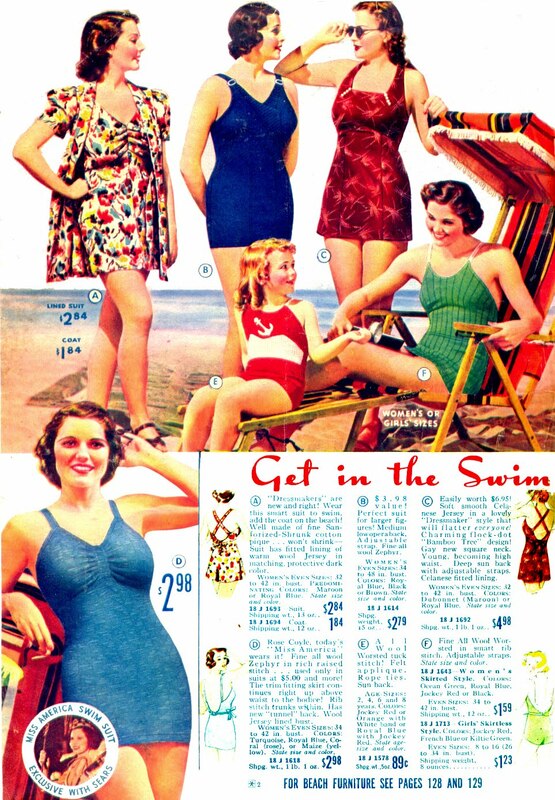 I love 1930s swimwear in catalogs! It’s always so cheerful! I really would love to make a 1930s swimsuit from a wool knit someday and these are perfect inspiration. This is a Sears Mid Summer Sales Catalog, and unfortunately it’s not dated. Originally I was thinking it was from 1938, but when I spotted the little Miss America Swimsuit down near the bottom of the page I went searching around the internet and matched her to Miss Rose Veronica Coyle, who was crowned Miss America in September 1936. Since this Summer catalog ended at the end of August and it was the first Summer since she was crowned I’m guessing this is from Summer 1937. In fact, it’s kind of fun to compare the Miss America Swim Suit the on this page with the swim suit Rose Veronica Coyle wears in the photo here (though it is misidentifies her as Miss America 1938). 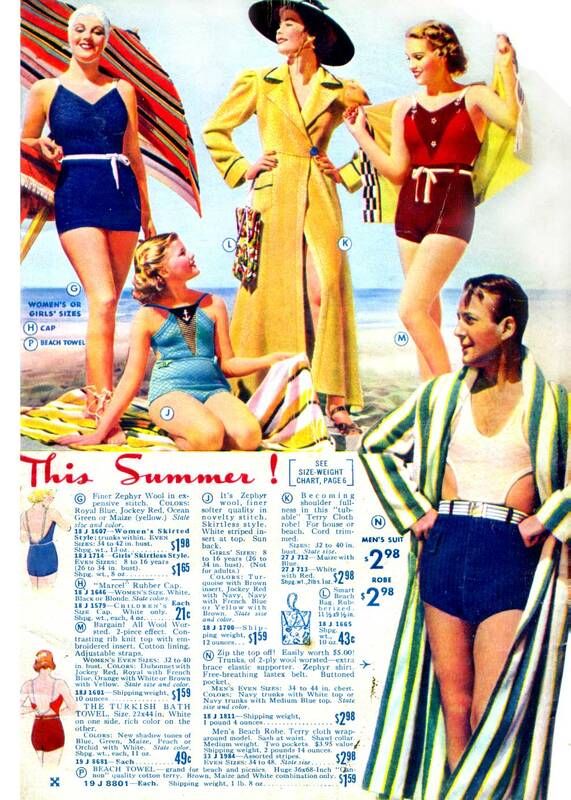 For more swimwear inspiration, here’s a past post of swimwear from 1938. >Miss Coyle is really pretty! Such a lovely face!